Helen Macnair’s yoga journey began in London in 1990 in her early 20’s. 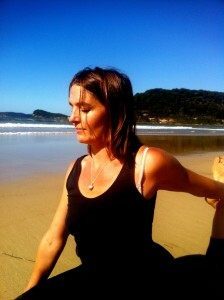 She began teaching in 1997 and is a registered senior teacher with Yoga Australia. Mother of three gorgeous children she has been living in Australia with her family since 2006. Helen’s practice and yoga training are a mixture of styles inspired by her life experiences: from Iyengar and then Astanga in her 20’s, pre natal and post natal yoga with the birth of her children and then kid’s and teen yoga as they have grown. Helen is passionate about Astanga yoga which she explores in her self practise and strongly influences her teaching. Helen originally trained with the International Therapy Education Council as a massage therapist and later studied northern and southern style traditional Thai massage. After finishing University in 1994, she spent a year in India where she studied yoga and Ayurveda. During her first pregnancy, Helen began her journey into the world of yoga for pregnancy, birth and the postnatal period. In 2005 she trained as a Doula with Michel Odent, the French Obstetrician, and completed her Birthlight pregnancy and post natal yoga diploma with Francoise Freedman. Helen continues to work with Birthlight as a tutor for maternity professionals. Other than managing and teaching at the studio, Helen has spent the last 5 years teaching yoga, mindfulness and meditation at a private school working with children from 5 to 18 years of age. During this time she has continued her training in yoga therapy with a particular interest in children and teenagers mental health issues.